We have lots and lots of ways for you to quickly find out if you won. NCEL Official Mobile App Now with Ticket Checker! 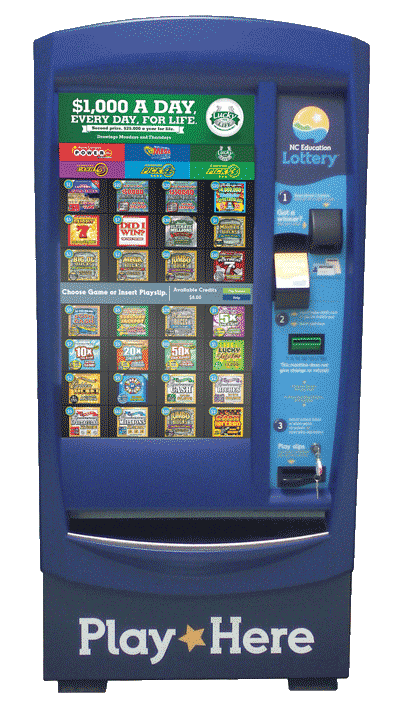 If you are visiting your local lottery store, you can always scan your ticket at the self-service ticket checker. Oh…and our cool new touch vending machines also have a ticket checker. Just pass the bar code under the scanner—it’s that simple. We can deliver the drawing results right to your inbox. As a Player's Club member, you can sign up to receive drawing results emails for your favorite draw games and we will shoot them right to your inbox twice a day. If you love the excitement of the live drawing, like we do, make sure to watch the drawings on your local draw station. Check each game for information on draw times and availability. ... or you can also view the drawings right here in our video center. Draw games are available on replay - watch anywhere with any device with an internet connection. Enter all tickets, win or not, into Lucke-Rewards to earn points and enter drawings for additional chances to win.